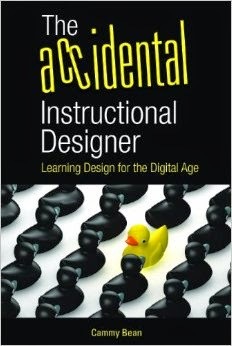 Last night, Dr. John Curry interviewed me for his Introduction to Instructional Design class. I was one of four instructional designers that John interviewed and the only non-degreed one in the bunch. John asked each of us a series of questions: how we came to the instructional design field, what our current day-to-day jobs as instructional designers are like, what skills we feel are important for instructional designers, and what we feels the future of the field will be. Each interview is about 30 minutes long. I'm curious, have you had a chance to listen to yours or any of the others? I'm happy with how they turned out. Hey Cammy, I heard your interview and I thought we seem to have a lot in common : 12 years in multimedia/elearning, e-learning for the corporate market, Project Management in e-learning. Currently I'm playing the role of a learning consultant, taking care of solutions and operations for learning services. To my mind the role of an ID is going to continue to evolve. Today we build courses which have specific learning objectives, tomorrow this same course could sit additional learning resources all of which together forms a learnin environment for an individual. Hope to continue blogging and learning from you!! There are many of US out there. Great to connect with you! Sameer -- Check out my blogroll on the bottom right of the blog. Jay Cross is at Internet Time Blog. Blogs on ID include Tom Kuhlman, Cathy Moore, Christy Tucker, Rupa. And I do remember that seat time comment! Glad you've been reading all this time. Where is your blog?